SINGAPORE - Unwed mothers could, in the future, have the same benefits as married mums. The Government is reviewing some of the discrepancies in benefits, such as how unwed mothers are given eight weeks of paid maternity leave, instead of the 16 weeks received by married mothers. This was disclosed by Minister for Social and Family Development Tan Chuan-Jin in an interview on Monday (July 27). Mr Tan said he had asked his colleagues to review the policies when he joined the Ministry of Social and Family Development (MSF) in April, and that he hopes to make announcements on it before the Budget next year. "I've a great deal of sympathy for single unwed mothers," he said. "Some of the differentiation that exists, could we harmonise it? So that's being reviewed." Unwed mothers also do not get perks such as the Baby Bonus cash gift and parenthood tax rebates, and have to wait till they are 35 years old to buy a HDB flat under the singles scheme. While these differences have been raised many times, including in Parliament, the answer has always been that the Government can only move as far as society is prepared to. Just in March, then Minister for Social and Family Development Chan Chun Sing had said that Singapore needs to find a balance between supporting unwed mothers as well as the policy to support parenthood within marriages. 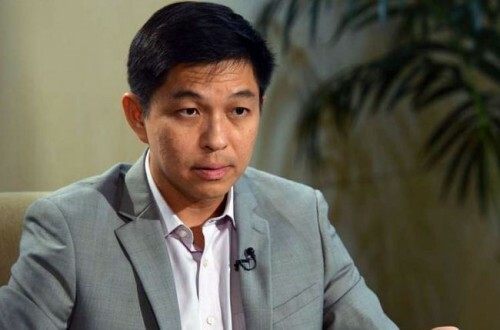 When asked if he thought Singapore society is now prepared to change its stance, Mr Tan said: "My sense is that the public understands and sympathises with single unwed mothers." He added that there is more support available for unwed mothers than maternity leave and baby bonuses. "It's about healthcare availability, it's about education opportunities and the support that comes with it." When probed about how extensive the review will be, he said the issues - such as housing, education, health, employment - are being discussed from a "whole-of-government perspective".